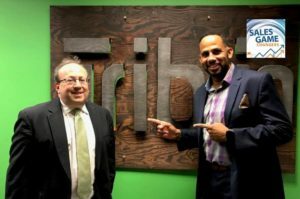 At the time of this interview, Shawn Cook was the chief sales officer at Triblio. Shawn’s had a long career with more than 32 years in sales coaching and leadership. He’s overseen, managed, directed and supported sales organizations from 5 to 95 people within industries such as healthcare, publishing, higher education and K12 and even within the building and construction industry with Hanley Wood. More recently, Shawn has spent the past 12 years in software as a service with notable organizations such as Vocus, Eloqua, Oracle and Track Maven. As a startup sales leader, Shawn has specifically focused on sales methodology and sales process with the intent on replicating high performer behaviors within his sales organizations in a way that makes sales leadership and excellence more of a habit than a dream for his sales organization. Fred Diamond: Why don’t you tell us a little more about yourself and fill in some of the blanks? Shawn Cook: Excited to be here and thank you for the opportunity. I know we have been trying to connect for quite a while, but I’m certainly glad. Game Changer, I believe I can affect that so I’m glad to be here to share. I am married to the same beautiful lady for 32 years as of April this year. I have three kids and believe it or not, four grandchildren. All of my career I’ve spent in sales starting at Time Life Books in DC. In fact, I think I shared with you the article that was in the Washington DC city paper back in 1986 and there’s a picture of me on the front page and in the article the guy talks about Time Life and he talks about all the different sales people that are there and he notably throughout the article is ringing bells because actually at that time that’s what you did when you made a sale, “Bing, bing.” Ring the bell, right? Fred Diamond: Ring the bell. Shawn Cook: Somebody would pick up and monitor your call and make sure that you’re closing well and all that kind of thing and this was B to C but that started my career. I bit my teeth, if you will, at Time Life Books and Music calling people. Time Life was so interesting, I’m talking about shift work on the phone, this paper leads, 30 people in the room, a big giant white board end to end, dots on the board for every hour, you change the color of the dots and I’m talking of people from all walks of life. We had shifts from 8 to 12 in the morning, 12 to 4, 4 to 8 and 8 to 12 so around the clock and the whole way that we actually advertised the opportunity for people – I became a manager really fast – but even as a rep, that’s how I actually got into sales. I know we’re going to talk about that later but this is actually how I got into sales and that repetition in addition to being married to the love of my life, I found the love of my life in sales when I found Time Life. I was going into law enforcement but I found the thing that I actually loved and sales was it. Fred Diamond: What were you selling back then? Shawn Cook: Time Life sold Time Life books, music and videos. This was B to C but I have to tell you, it was some of the best training because if you can imagine, if you call people at 8 o’clock in the morning, they got to remember this was at a time where there was no call waiting. There was no call waiting, there was no internet, if you will so I had a very captive audience and my buyer wasn’t as distracted as today’s buyer. Today’s buyer has outlets, they have a phone and a computer probably while they’re talking to you on the phone. They have Instagram, Snapchat, they have all kinds of ways to get information and in fact, their phones aren’t phones, those are just mobile computers. How I was able to gain relevance and speak to people, I was the trusted adviser. They didn’t have other sources of information that they could trust above me and so it was easier for me to gain trust as a salesperson but that’s the beginning. That’s where I started and I stayed with it and 32 years later I’m still doing the same thing. The article anyway, there was a reference to me as the demi-god of sales. It’s kind of true [laughs] I’m not bragging, but it’s what I love. Because it’s what I love, I’m really good at it. It’s my passion, I found my passion. Shawn Cook: Again, fast forward now going from publishing and many days in sales to account based selling and I’m so glad because Triblio provides an account base market engagement platform and essentially we help marketing and sales teams to align by integrating their inbound with their outbound in a way that helps them to execute sales plays and grow revenue – or anything that leads to revenue – within their target accounts. We help them to target, we help them to personalize, we help them to score and we help them to activate their sales teams closer to the point of interest. What excites me about that is because of what it means for buyers, or for sellers particularly. For marketers and for sales people, I would say. Buyers are so educated, they’re avoiding sales people. They’re on your site, your competitor’s site, they’re in blogs, they’re in forums, by the time you talk to them and in fact more often than not they’re going to trust you least of all the people that they are considering in terms of help in making their decision. Particularly in the B to B space what excites me about Triblio is that we are helping sales teams and marketers to talk to buyers closer to their point of interest and without depending on a form fill because by the time they fill out the form, they’ve already made a whole lot of decisions and you could be Column Fodder. Fred Diamond: You talked about you first got into sales by selling Time Life Books. What are some of the things you learned when you had those first few sales jobs? Shawn Cook: I would say the first thing for us was relevance equals conversion. If I can be relevant to you, then I’m going to be able to align, if you will and if I can align and be – well, today I call it not just relevant, “compelevant” – I have to be both compelling and relevant to what you would agree with and what you would care about and I found that winning in sales is more about eliminating your chance of failure than it is about being successful. If you’re just focused on success then you could miss out on a whole lot of things that keep you from repeating it. I’m all about repeatable success and I think that’s part of what the early part of my career, Time Life, I’m so thankful for all of the ad bets. I’m talking in a 4 hour period we were talking to 6 to 10 people an hour and in that shift work but it was the repetitiveness and because of what I found in my own love – in fact, in the article in the city paper they asked me what my secret was and I said it was focus. My 19 year old said it was focus. If I lose focus on that customer for one minute, I’ve lost the deal and I was referencing the fact that it was a telemarketing room and that there are lots of people walking around and standing around and on the phone and I was somehow able to picture myself right there with that client. I focused on my voice and I focused on what they said and because I knew where I was going I could listen for my own tone and their responses. What were their reactions? I’ve always been interested in the prospect’s reactions along the way, not the end result. The end result for me was always anti-climactic because I was so focused on the process that the results would take care of themselves and particularly eliminating my chance of failure. Fred Diamond: We had a conversation recently with a guy named John Hicks over a company called InfinityQS and he was talking about how when he prepared for a sales call he would essentially meditate. He would clear everything off, get into the right mode to engage in the conversation. Did you have to put yourself, Shawn, into a different state to participate with your customer? Sometimes because they bio on your LinkedIn profile may not give enough detail for you to understand what it is they truly do. I would rather spend a couple extra minutes going to look at a resume or job description of someone who does that to see what success looks like for them because that’s what I’m really after. I got to know what success looks like for you in order for me to be successful so I learn you. I take that L and I turn it into a U, my U is understand you. I take what I’ve learned and when I’ve actually talked to you I turn it into understanding. I confirm what I’ve learned, I either confirm or conform. So I confirm it and conform it to where I believe this conversation needs to go in order for you to let me know whether you actually care about the things that my most successful customers care about because I find that if you care about the things that my most successful customers care about, my chances of winning are going up. I got to make sure that you care about those things and I got to be able to articulate and see myself in your space. Again, I go back 19 years or 32 years to when I was 19 years old and I’m at Time Life and I’m being interviewed and that’s exactly what I was doing. I pictured myself in the space of the person. In fact, I was just here, my sales rep’s here right now. We’re a startup and we’re growing fast and so we’re now a little bit on top of each other, we’re supposed to move, we had to delay and my vision and my ideal sales room is that you don’t necessarily do demos – I don’t call them demos, by the way. I call them business briefings. I’ve gotten rid of the word demos because it’s easy for people to blow that out of their calendars, by the way. If you call it a business briefing, that’s a little tip. I’ve gotten rid of it. I actually saw myself having demo rooms, almost like a studio. Like a standing booth where you have a place to put your monitor and your laptops. You could have two screens. By the way, anybody who’s selling product out there if you’re not using two screens you could be hurting yourself because there are things that you need to learn on the fly. The buyer is so educated that if you don’t have a separate screen where you can access data or try to be more relevant to them then you could be losing. Everything counts now because that buyer has a computer, a phone, news feeds, Google alerts, they have all this other data so you have to be able to know almost more than what they know, certainly and right now the buyer knows more. The buyer is way more educated than we give them credit for and that’s why they’re blocking you out because they don’t think they can learn anything from you. Shawn Cook: Know their numbers. The N is for numbers, know their numbers, how do they measure success? Because that’s what people buy. Pause, people do not buy you products, your services or your ideas. What they buy is how they imagine using them will make them feel. Again, we have to tie that to something tangible and that’s numbers. Usually there’s a numerate associated with success whether it’s sales qualified opportunities or whether in the marketing space they need more MQL’s or SQO’s or SAL’s or sales dollars if it’s a sales person. Everybody has a number and there’s the one thing that everybody wants and that’s success. Everybody wants to be successful so you have to find out what their numbers are so learn them, understand them, know their numbers because you can’t challenge them unless you know their numbers and that would be the C, challenge them. If the shoes I have on are OK, maybe when I get ready to buy a new pair those are a little expensive, I don’t know. 350 is a lot for a pair of shoes. I’m like, “No, I don’t know.” I have to have gotten a bonus and all conditions be great and maybe I’ll spend the 350 but if you came to me with those shoes and you said, “If you keep running in the shoes that you’re running in, you’re going to need a hip replacement in about 6 months and you’re probably more likely to pop an Achilles’s.” All of a sudden because I run every day that becomes a little bit more important to me. The fear of loss is a much better motivator than the promise of gain. Fred Diamond: What are you specifically an expert in? Tell us a little more about your area of brilliance. Shawn Cook: I think it’s the ability to help sales people to know what makes them successful, to help them understand their process. I interview, I talk to so many sales people and I’ve done thousands of interviews, God knows. I talk to sales people and I go, “What makes you successful? What happens when you win, what happens when you lose?” I try to get them to tell me like they have a formula for success and what I find is that salespeople are depending on the organization that they go work to to provide them with a process and that’s a mistake because some of these organizations don’t have a process and if they have them it’s informal. It’s not formal, it’s not repeatable, it’s not scalable. You see salespeople look over to the next, “What did you do on that one? OK, I’m going to try.” So they’re learning by trial and error and there’ nothing wrong with that except that there’s enough evidence out here that tells what process is, tracks the why you, why now message. The highest performing CEB has done loads of research on The Challenger and those behaviors, so much out here for what high performers do but no one is taking those things, those behaviors and actually put them into a process so that a lay person can still have movements that are like a high performer. They may not have the muscle of a high performer but they can have the movements of a high performer and with a good system of training on product and enablement as long as they understand the methodology behind it I think you can make them successful. I would say that that is me, I see the matrix and so I want to help salespeople to take that matrix and put it into a formula and know the difference between a stage and a step because we’re trying to move deals forward to a stage and we’re mixing up what a stage is and what a step is. I find so many sales reps don’t know what to do next. Because they don’t know what to do next they’re less confident, and because they’re less confident the buyer picks it up and blocks them out and that is why they’re seeing sale cycles long. That and the fact that there are more buyers involved so you’re going to have to be the kind of salesperson today who is able to deal with consensus buying and with buyers choosing to remain anonymous. You need data and you also need a process. Fred Diamond: You talked here about one of your areas of brilliance as helping salespeople understand how they can be more successful. Take us back to an impactful sales career mentor for you and how they impacted your career. Shawn Cook: There’s been people and it’s been resources, I listen to a lot of books, there’s wisdom in a multitude of counselors, I live in the DC area and so audible is my way of getting all my counselling in terms of driving up and down the road. The Challenger Sale to me, that book and the research associated with it to me has had the most greatest impact on what I do with salespeople now. I’ve taken those things – The Challenger and the The Challenger Costumer which is all about selling to consensus groups – and I’ve added a formula. I’ve taken them and actually systematized it for myself, for my sales teams and I can’t tell you what it means to now speak the same language because if you’re going to have a high performing sales team, it’s like the tower of battle. We’ve all got to speak the same language, we can’t have different definitions of what a step is and what a stage is and where we’re going to take the buyer to and so today I think what I’m doing is becoming a sales system engineer and I think that sales, because of how fast technology and buyers and all these things are moving, you really need a system that can align and not just chase. I think sellers are still chasing buyers instead of being ahead of buyers and the only way we’re going to get ahead of buyers is that we have a system that is – I hate the word “artificial intelligence” because I just want to be really intelligent, not artificially intelligent – but sales intelligence is so important now and that would be my tip to anyone who’s in sales. I would say, “Listen, if you’re going to be successful in sales, learn this. We sell more by what we know than what we show, than what we tell, than who we know. Fred Diamond: Shawn, you mentioned The Challenger Sale. Before we talk about some of the biggest challenges that you face as a sales leader, The Challenger Sale gets thrown around a lot and not as many people have read the book to truly understand it. Why don’t you give us a one minute overview on what The Challenger means to you? Again, you said it’s become a big part of your process and it’s the overlay on your methodology. Help us understand your vision of what The Challenger Sale is. Shawn Cook: It leads to differentiation. The Challenger research is empirical to me because of the volume of people that they did it with. When they first did it I think it was three thousand or so salespeople, now it’s ten thousand or forty thousand or more salespeople, it’s a lot of people that they’ve done this with. They’ve looked at all these people and said they break themselves down into these categories: challenger, the relationship builder, the hard worker, the problem solver, I forget what the other one is but the challenger out-performed. Oh, the lone wolf, that’s why I forget it, I always forget the lone wolf. Why? He’s alone. [Laughs]. I forget the lone wolf but the challenger out-performed in a non-technical sale 13 to 1, the relationship builder which everyone thought would win. In a technical sale, 53 to 1, or 53 to 13, whatever, it was just blazing and very distinct, they lead people to their solutions and not with them. The core of it is you’re leading people to and not with and you’re using what we call a purposeful choreography which is the “Why us, why now” method and it follows a choreography that ties emotionally to that buyer and brings them to a place through inception that they agree. Again, the whole thing is built in knowing what your most successful customers care about and knowing what your unique strength is, but I would say that for me The Challenger taking those tenants of teaching, and so The Challenger does three things: they teach, they tailor and the assert control. That is built into my entire process, teaching, tailoring and asserting control. Teaching them something that they didn’t know, leading to your most unique strength, tailoring it to their role, their persona, their department, their demand unit, the team and what success looks like for them. Then asserting control by leading them to – and this is where I’ve diverged, added to The Challenger stuff which is because the buyer is so much in control you can’t make a buyer do anything. I’m just going to say it, you can’t make buyers do anything. “Give me one tip to help me close”, “Know your customer” because you can’t make them do anything. What you can do is facilitate a buying process so I’ve got the title chief sales officer, I don’t believe in selling, I believe in facilitating buying processes and we’ve actually created in my teams meetings, we actually have something called a no-selling zone. We pull up a slide and say, “Listen, we’re not going to try to sell you because you’re in control so what we’re going to do is we’re going to share some insight. We’re going to help you to avoid landmines, we’re going to educate you on new issues and outcomes. If you decide to continue talking to us, we’re going to help you to get wide spread support within your organization and we’ve created high value meetings. You call them stages, right? We’ve created high value meetings that offer you the ability to choose an alternative ending. That’s the difference. In the assert control before, it was kind of you take them to that one thing that you were trying to get them to do and now because the buyer is so much in control, you can forget about that. I think what you have to do now is make sure that you offer high value meetings, conversations that keep the conversation going and keep you moving to the next thing. Fred Diamond: Based on that, what are two of the biggest challenges that you face today as a sales leader? Shawn Cook: I think it’s the same for all of us, it’s buyers. Buyers are self-educating at a high rate, there are studies that say they engage with 6 to 10 pieces of content before they engage with their brand. CEB says there’s 57% of the way through their sales process before they engage with you so that’ the first thing, we’ve got a buyer who’s highly educated so you better know your stuff. If you just want to talk about your product, you’re going to be in trouble because they don’t care about your product, they care about success so that’s the first thing. The second thing is that there are more buyers. The average company dealing a B to B is 6.8 people according to CEB up from 5.4 people. IDG I think it is put a study out that says that in a technical purchase it’s 16 people. I used to have sales reps who come and crow and they handed me, “I killed that meeting, 20 people, I had 20 people.” And I’m going, “Do you realize what this means? That there are 20 different personal preferences, 20 different goals, 20 different…” I don’t brag about having a lot of people in a meeting because that means a lot of work that you’re going to have to go back and do and divide and concur. I call it not divide and conquer but divide and concur because you need to see who within that group now agrees with the things that your most successful customers agree with and who doesn’t and what is the power of that person. I say that because consensus buying, some of those people are going to be known to you and some of them are not. This is what Triblio does, we do account detection so my reps are able to see both the known and the unknown people that are coming from an account and we score both the known and the unknown people that are coming and we personalize for both the known and unknown people and that is important because 85% of the buying team wants to remain anonymous. They don’t want to talk to your salesperson so they’re not going to fill out the form. They’ll come to your site and they’ll look at the content because I’m part of the decision that’s going to be made but I don’t want to talk to your salesperson and the person who is getting all the calls from the salesperson a lot of times is just the person who’s gathering the information for the real person who is not on a form, who hasn’t filled out anything. Even if you know who they are, they don’t want to talk to you so how do you do that? Those are the biggest challenges, is becoming “compelevant” for a buyer who’s avoiding you and I can tell you that the only thing that I can think of that can help you in that regard is to know them, is to really understand them, is to put yourself in their seat and think about what success looks like for them and talk like they talk. Fred Diamond: Shawn, why don’t you take us back to one specific sale success or win from your career that you’re most proud of? Take us back to that moment. Shawn Cook: I was mentioning this earlier that I am so focused on the process that I literally could not think of, when I saw the question I could not think of a win that I got excited about because winning for me is anti-climactic. It really is the process, how do I make it repeatable. The definition of understanding is the ability to do something over and over again at will because you can’t say you’re a success unless you can do it over and over again and that’s what I want for sales leaders. Only 53% of salespeople make their quota, that’s not good so how do we help more people? We find out what the high performer is doing and we help those people who aren’t high performers to just operate in a system that is designed for them. What it leads to mostly, because I didn’t say this, Fred, but I think this is the truth about everything I do in my process is trust. One of my favorite books and I would highly recommend it, it’s a book called Speed of Trust. It’s a great story behind the book because it’s written by Steven Covey Junior, it’s written by the son of the 7 habits guy. Imagine if your dad is Steven Covey and you’re Steven Covey Junior, getting respect is hard and that’s why he wrote this book. He wrote this book because he realized that people would judge him because he was Steven Covey’s son and have expectations for him because he was Steven Covey’s son and so he had to earn their trust. Basically when trust is high, cost is low and speed is fast. If you think about 9-11, before 9-11 – I’m old – I could go through the airport for an international flight and be there an hour before and just walk through and for a domestic flight 30 minutes and I could walk right through and get on the plane. Not anymore, trust is low so time is slow. Things are slow. Guess what cost is? High. Now on your ticket there is something called a TSA fee and it keeps going up and so the cost and the time, now it takes me longer to get through and it costs more to fly. When trust is high, speed is fast and cost is low so if you want to move deals through your pipeline, if you want to get more people to talk to you, if you’re an SDR, a BDR out there and you want to get more people to talk to you, trust. Trust is exchangeable, it’s like money, trust is everything and by the way, Hubspot did a study on the most trusted professions down to the least trusted professions, it’s an awesome study. It says that they trust the firefighter, the doctor, the nurse, their trust rate very high. Guess who are close to the bottom? Shawn Cook: Lawyers are actually like 13% trust rate. 3% and 5% respectively, marketing and sales. Guess who’s actually trusted even more than marketing and sales? A barista. A barista is trusted more! So what I’m saying is that noticing this culture exists – politicians, by the way, at the bottom – knowing that trust is already low for sales and marketing you’ve got to take on the persona as a sales person, as an SDR, as a BDR of a firefighter, of a nurse, of a doctor. The firefighter is going to diagnose the situation first, he’s not going to bring out the jaws of life when all he needs to do is open the door and drag you out and stretch your leg out and give you some water. He’s not going to run into a house and just throw water because there could be back draft, that could come on him. What is he going to do? He’s going to first show up at the house and go, “Are there any people in there? Let’s get the people out first, let’s see where the fire is coming from” they’re going to think about how they go in. Salespeople? Fred Diamond: Shawn, did you ever question being in sales? Did you ever say to yourself, “It’s just too hard, it’s not for me”? Shawn Cook: Never. Never ever wanted to quit. I’m a high performer, in transparency I missed my Q1 number. We blew away the Q4 number and my team laid a I don’t know what in Q1 and all it does is it makes me better. To me, it’s a challenge to be better. When I’m struggling or when we’re going through a difficult sales, I never told my CEO this after my quarter, I said I’ve never had a sales challenge or problem that I couldn’t solve. Not pushiness, I’m not talking about being pushy and I’m not talking about fighting a customer with objections, I’m talking with objection answering because some people turn that into a whole battle and it’s not about the customer, it’s about them trying to prove that they’re right. That’s not what I’m talking about. I’m talking about saying something [Inaudible 39:32] that a customer may not have thought about based on what their response was that causes them to go, “Oh, I didn’t think about it like that. I guess that would be OK if I were to see it that way” like, “Have you thought about it from that perspective?” and that doesn’t happen overnight. Fred Diamond: Shawn, what’s the one most important thing you want to get across to junior selling professionals to help them take their career to the next level? Shawn Cook: Start with the customer, it’s all about them. If you’re in sales to help yourself, you got to define what sales means to you. I think you have to define sales first. Sales is helping the customer get what they want so that I can get what I want. That’s a definition that you can use and every interaction with the customer should be what is it that they want, how do I understand what they want and how do I make sure that I get them what they want so that I can get what I want. If you focus on that, making sales will be easy. Shawn Cook: Audible, I’m just going to tell you, it’s the best $15 you’ve ever spent a month to get a credit and listen to a book and just get some new ideas on how to approach different situations. I’ve just recently listened to a book by Keith Ferrazi, this guy who wrote the Never Eat Alone. I had actually never read that, I’ve never even listened to that book. I don’t know if it’s the second or third book but Who’s Got Your Back and he’s talking about accountability because I think if you’re going to be good at anything, you need a system of accountability. Not just with your managers and directors but you need a system of accountability within your connections and I learned a very hard lesson from that, I have 8186 hundred connections on LinkedIn and no life lines so I had to do some correction, I needed to bring some people into my circle. I’ve got 32 years of experience that my best selling has not happened yet. I feel like I could run in this game for 30 more years because I’m so passionate about sales and technology and I stay on top of how it’s advancing and the use of technology. Listen, you can use technology but don’t rely on it, I’m just going to tell you that. Technology does not solve your problem. It can help you to be efficient and effective but it’s not going to solve it. You have to have a system. Shawn Cook: Stuff like this, I think talking about it more and getting and staying connected with people like yourself and others who are doing this, I think there’s a lot of good information out here. I love all of it, for me I want to write now. I’m writing a book called Take Your Team to Lunch, it’s actually two books based on those same acronyms. One is Take Your Prospects to Lunch, that’s for salespeople, and that is just having your own system so that when you go to a new company you’re not depending on them. You better apply their system but you can use this as an acronym to make sure that you are at every stage of your sales process able to really align and take the buyer to lunch. I’m doing it for salespeople but I’m also doing it for managers because sales leaders need to take their team to lunch. They need to know their people, understand their people, know their people’s numbers, challenge their people but help their people be successful. Fred Diamond: Tell us, get really succinct here but what is it about sales as a career that keeps you going? Shawn Cook: It’s about people. It’s about helping people to be the best them in their role and their job and if you look at it that way instead of selling a product then you’re just helping people. Sales is the highest paid profession, because of sales the economy, everything in this room: those lights, those panels, the floor boards, the carpet, somebody sold it. The world doesn’t happen without someone making a sale and that’s why sales has to be here. I’ve heard a story and I do believe it’s true that a million people will be out of sales jobs in 2020 and technology will have taken their place but that is salespeople’s fault because buyers don’t want to talk to you because you keep trying to herd them rather than help them. Fred Diamond: Give us one final thought. Bring it home with one final succinct thought to inspire the Sales Game Changers listening to today’s podcast. Shawn Cook: Here’s the answer, I love you said that because I do. I have so many Shawnisms I like to call them. There’s a formula, I always call it the code behind all the stuff that I create for my sales team to help them through their sales process and it’s how I solved every problem I’ve ever had. I’ll give credit to him this time [laughs] it came from an article that I read in Sports Illustrated in the 80’s featuring Lee Trevino who was a golfer who had won the green jacket and Lee Trevino had 5 G’s for success. I’ve kept those 5 G’s with me for all these years. If you are going to succeed, I always go why someone would not succeed. By the way, for those of you who are going on a job interview, this will help you. You have to have a philosophy of success so whenever I go into something, even when I go into a new company I go, if somebody was in this role and they failed, why would they fail? Well, they would have failed because they didn’t have a goal. That would be the first G. OK, but what if they had a goal and they still failed? I’d say, well, if they had a goal and they still failed then they didn’t have a game plan. They didn’t actually sit down and go, “Here’s what I think I’m going to do first and second or next” and think through just what could happen. If they did that, let’s say they had a goal, they had a game plan and they still failed, they didn’t have any gages. They couldn’t measure where they were so they couldn’t get to where they were trying to go. It’s got to be measurable, you have to be data driven. I’m going to say that. Sales, everything starts with insight. You need data, you need to know what your conversion rates are from stage to stage, you need to know your average days and you need to start thinking about things that you can do to improve those things. Driven sales people are going to lead the future, I promise you that. What if I still failed? I had a goal, I had a game plan, I had gages, then they didn’t go and that would be action. You have to have actions and when you have actions – this is important to sales processes today, by the way – don’t just measure sales and marketing actions, measure customer reactions. So for actions you have to have go, take action, get out there, see what’s going on and the last G is give. Give back, you’ve got to figure out what is making us successful, communicate that. What’s working? If you have peers and again, accountability source like keep track of what’s working for you and that way your ability to do more of what works is going to increase.